The MOCS 2014 November Season (Oct 29- Nov 26) is Metalworker. 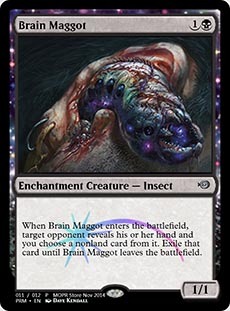 Temple of Mystery and Brain Maggot will be the Magic Online Player Rewards promos for October (Oct 29 - Nov 26). 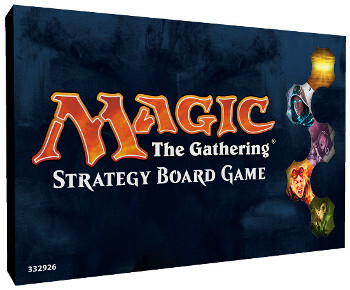 The Magic the Gathering Strategy Board Game (placeholder name) was unveiled this past week at Essen. GatheringMagic did a fantastic write up here. The summary is it's a strategy board game that plays similar to Heroscape (also by Wizards of the Coast). There will be five miniature Planeswalker figures (Chandra, Jace, Nissa, Liliana, 1 TBD). There are cards (e.g. Counterspell), but they are not the same cards from the collectible card game. Familar mechanics like flying and deathtouch will be included. It will be available Fall 2015. 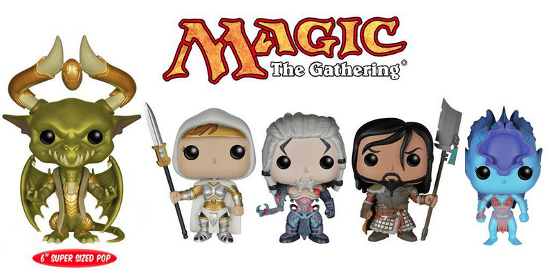 Funko announced Magic: The Gathering Pop! Series 2! The new planeswalkers are Elspeth, Tezzeret, Sarkhan, Kiora, Gideon, and Nicol Bolas. They'll be availabe by the end of the year. You can view/preorder them on our Toys page. 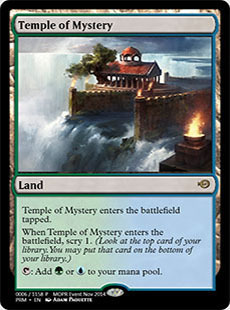 Help Wizards improve Magic Online by filling out the MTGO Satisfaction Survey. Did you miss our Tarkir Clans Standard $100 series? 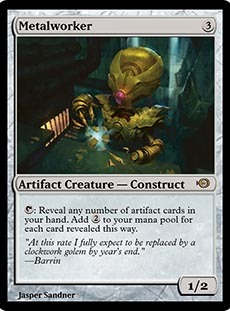 This past week @TolarianCollege covered Jeskai, Azban, Mardu, and Sultai decks you can play for about $100 (paper). We launched our Articles section this past week. Make sure you check out what our writers had to say this week! Be sure to leave a note in the comments on what you liked/disliked! Mardu Control can be Good! We're looking for authors interested in publishing on MTGGoldfish. If this sounds interesting, please click here for details. We made a KTK Shop page to collect all Khans of Tarkir products. Check it out if you're looking for Sealed Product (Boosters, Fatpacks), Intro Packs, Sleeves, Decks Boxes and Playmats! Get up to date Magic the Gathering prices with the official MTGGoldfish Chrome browser extension.